St. Louis Old Boys’ Association (SLOBA) was established in 1961 by Reverend Father John Foster and a group of old boys, and the president for that year was Mr. Andrew P S Wong (1959 Graduate). At the beginning of establishment, the main activities organized by SLOBA included annual meetings, dinners, and launch picnics. In 1970, SLOBA declined gradually and activities stopped. Because of this, Reverend Father John Foster invited another graduate, Mr. Winston K S Chu to reorganize SLOBA. He led the council to begin a study room scheme, so that our students could have a better place to study during the leisure time. In 1972, the council committee decided to establish the St. Louis Youth Club. From that time, the St. Louis Youth Club has served thousands children ranging from living in rural area to urban area, from physically handicapped to mentally handicapped, and from the blind to deaf. Besides these services, it also gives leadership training to the needy members of the Hong Kong community. 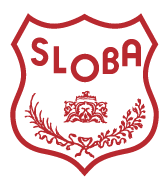 Under the leadership of various past presidents and the invaluable advice and support given by Reverend Father Patrick Deane, SLOBA had grown a lot.